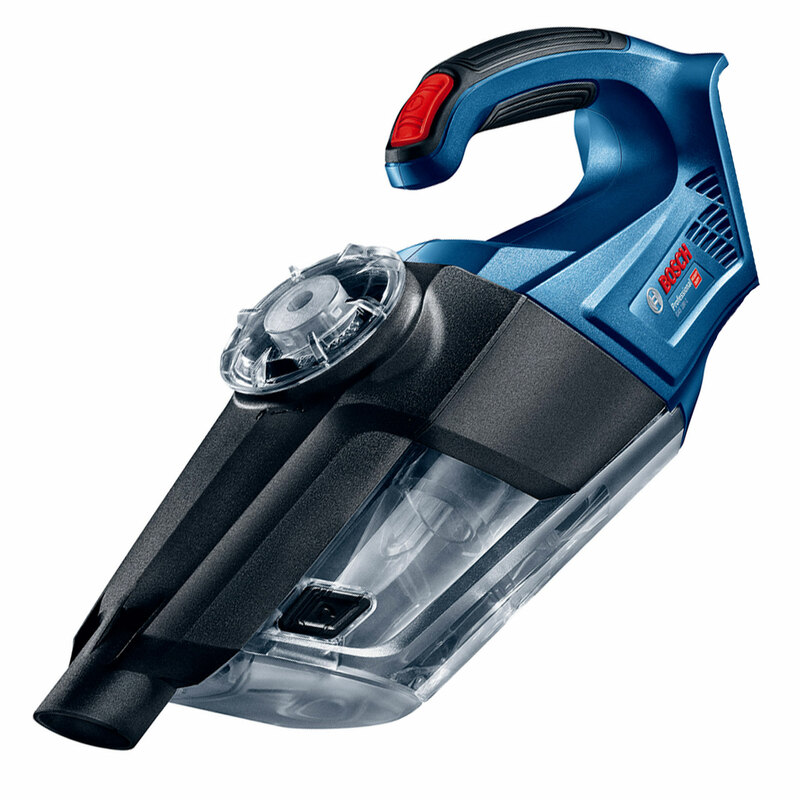 Bosch 18v Cordless Professional Dust Extractor - Unleash the power with the cordless 18v vacuum cleaner. High performance and high suction power, compact size ,lightweight design with good balance. Ergonomic soft grip for easy and fatigue-less handling. Two speed control optimised suction power for various application with 700ml big size dust cup for large debris capacity. LED light for brightness in dark and narrow spaces and wrist strap for safety handling. HEPA filter to help protect the user's health. Featuring Rotational Airflow helping to remove dust and debris from the airflow for longer tool life. Extracts dust & debris from the airflow before it ends up in the filter and blocks it. This is especially good for users that are cleaning a lot of fine dust e.g. concrete dust. The first rotational airflow will extract a lot of dust from the airflow (90-95%). However some fine dust e.g. sand, concrete dust, etc will remain in the airflow and will be heading towards the filter. The 2nd stage with rotational airflow will then remove a lot of the fine dust that would have ended up in the filter. Easy to remove and empty the filters and containers in just a couple of steps.